One of the first PlayStation 4 titles to be displayed during the PlayStation event on Wednesday night was Guerrilla Games’ Killzone: Shadow Fall. The game will be set 30 years after the events of Killzone 3 and take place (at least partially) in Vekta City, the site of many Helgast atrocities, as well as the location of a section from the original Killzone. During the presentation, Guerrilla Game’s Managing Director, Herman Hulst, described the setting as being akin to the Cold War, with Helgast and Vektans living together. That’s when all hell breaks loose. The demo on stage was brief, but it gave us a taste of the game and the PS4’s potential. 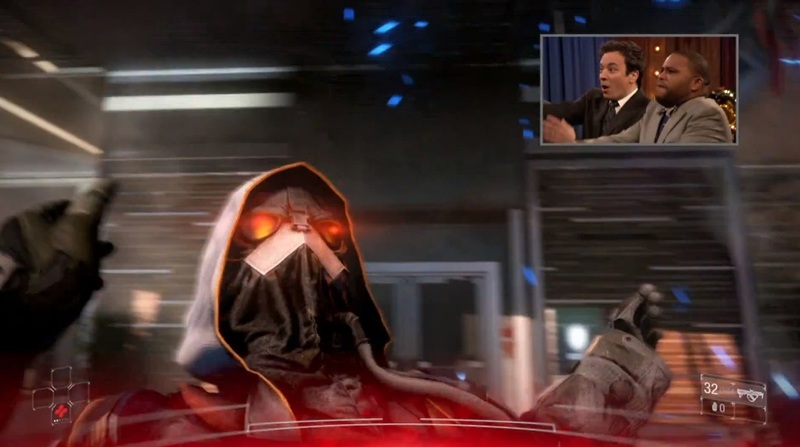 The following night, Hulst appeared on Jimmy Fallon and discussed some of the PS4’s features, then showed the game off. He even let Fallon play a bit. Check it out below.